The European Year as proposed by the European Commission will help promoting how cultural heritage contributes to cultural diversity and intercultural dialogue, to the economy and society and promote it as a key element of EU’s international dimension. The Commission proposes to implement the year by using existing EU programmes under which cultural heritage is eligible for funding, ranging from Creative Europe to Horizon 2020 but also specific actions such as the EU Prize for Cultural Heritage, which is organised by Europa Nostra. Given the importance of this Year also beyond the heritage world, Europa Nostra hopes that the EU institutions will find a way of finding adequate funding for the Year. Besides mentioning Europa Nostra as one of the key stakeholders consulted in the process, the proposal also explicitly refers to one of Europa Nostra’s recent flagship projects, ‘Cultural Heritage Counts for Europe’, which was funded by the EU Culture Programme, as a source of existing expertise. Europa Nostra as pan-European federation of heritage NGOs is actively preparing for the European Year by mobilising its wide network. In November, its Council and Board will convene to decide on an ambitious Action Plan for 2017-2019 to ensure civil society will contribute to the fullest to the year. Likewise, Europa Nostra’s leadership is working towards making its 2018 annual congress one of the highlights of the year: a European Heritage Summit in Berlin. “Europa Nostra stands ready to actively and creatively support the preparation of the Year now. We are working with our members and members of the European Heritage Alliance 3.3., our partners and supporters from across Europe together to make the European Year of Cultural Heritage a memorable one for citizens in Europe and beyond. Civil society should be at the heart of shaping this Year. It should not have an end – on the contrary, it should be the start of something more, more Europe and more passion for cultural heritage!” stressed Sneška Quaedvlieg-Mihailović, Secretary-General of Europa Nostra. The decision of the European Parliament and of the Council can be found here. The European Commission press release can be found here. Less than two months after the adoption of the far-reaching EU Council Conclusions on cultural heritage as a strategic resource for a sustainable Europe, the European Commission has adopted today its Communication which paves the way for an integrated approach to cultural heritage in Europe. This important policy document aims to help Member States and stakeholders to make the most of the significant support for heritage available under EU instruments and also calls for stronger cooperation at EU level to share ideas and best practices, which can feed into national heritage policies and governance. It highlights the opportunities for Member States and stakeholders to work more closely across borders to address the many challenges facing the heritage sector, and also to ensure that cultural heritage makes an even stronger contribution to a sustainable Europe. The European Commission has also released today an accompanying “Mapping Report”which provides a comprehensive overview of EU policies, legislation, programmes and funding opportunities relevant to cultural heritage. “Europa Nostra congratulates, also on behalf of other members of the European Heritage Alliance 3.3, Mrs Androulla Vassiliou, European Commissioner for Education, Culture, Multilingualism and Youth, and the DG Education and Culture, for this new major step forward in developing a comprehensive EU strategy for the protection and enhancement of Europe’s shared cultural heritage”, stated Plácido Domingo, President of Europa Nostra. Civil society organisations, such as Europa Nostra and other members of the European Heritage Alliance 3.3., were asked to contribute to the consultation process with stakeholders which was carried out by the European Commission prior to the preparation and adoption of this new Communication. 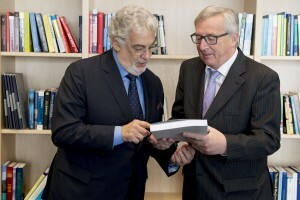 “We very much hope that this open and constructive dialogue will pursue also during the implementation of this Communication which, in the next 5 years, will serve as the basis for strengthening the mainstreaming of cultural heritage concerns into all relevant EU policies and funding mechanisms”, added Plácido Domingo, President of Europa Nostra. The EC Communication stresses that Europe’s cultural heritage is an asset and a responsibility for all. There can be no contradiction between national responsibilities and EU action since our heritage is always both local and European. 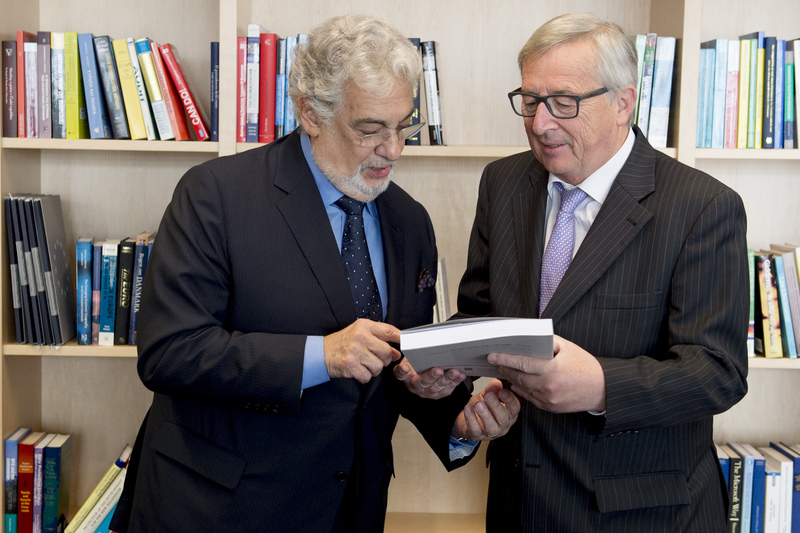 The Communication also examines what the European Union can do, alongside the EU Member States and other public and private stakeholders, to enhance the intrinsic value of our cultural heritage. It also recognises that our cultural heritage is a key source of social innovation for smart, sustainable and inclusive development and a catalyst for creativity and growth. The European Commission recognises the role of heritage in many different EU policies, such as regional development or the EU external relations. It also welcomes the approach set by the EU’s Environment Impact Assessment Directive, which requires a project’s impact on cultural heritage to be considered, and the General Block Exemption Regulation which allows state aid for the sector.